Sacace will introduce, among others, the following kits: - MTB MDR Real-TM for detection of MTB antibiotic resistance to isoniazid and rifampicin - Chikungunya Real-TM for detection of Chikungunya virus (download the user manual from here ) - Resistance Screen Plus Real-TM for detection of 14 resistance genes in bacteria - Clostridium difficile + ToxA + ToxB Real-TM for detection of Clostridium difficile, ToxA, ToxB genes the full list of new kits can be downloaded from here. 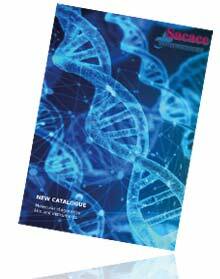 Sacace has released 2 new kits: - JCV/BKV Virus Real-TM Quant for quantitative Real Time PCR detection of JCV and BKV viruses in the same reaction starting from whole blood, CSF or urine. - HHV7 Real-TM Quant: for quantitative Real Time PCR detection of Human Herpes Virus 7 starting from whole blood, plasma or saliva. 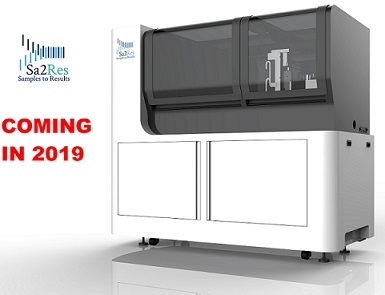 Sacace released a completely new Molecular Genetics line of Real Time PCR kits for detection of genetic variants involved in various type of diseases. Such products are ‘platform independent’ and can be used on different platforms like Rotor-Gene™ (Qiagen), CFX™ (BioRad), Applied Biosystems 7300/7500™, MX3005P™ (Agilent Technologies), SaCycler-96™(Sacace Biotechnologies). Sacace will exhibit at Medica (Dusseldorf, Germany), stand number 3F35, from 13 to 16 November 2017. To order on Sacace.com select "our products", then choose the line you are interested in and add to cart your favourite products by clicking on the correspondent codes. A window will pop up asking you to define the quantity of the chosen products. After clicking on the "Add to cart" button you can continue as you desire. When you end, just click on the "View cart & Checkout" button on the top right corner of the products list. In the Cart summary page review your cart and click the "Checkout" button to proceed. Fill correctly the Order confirm form and click on the "submit" button to place your order. If you wish to order Real Time PCR kits you have to indicate always the instrument you use.